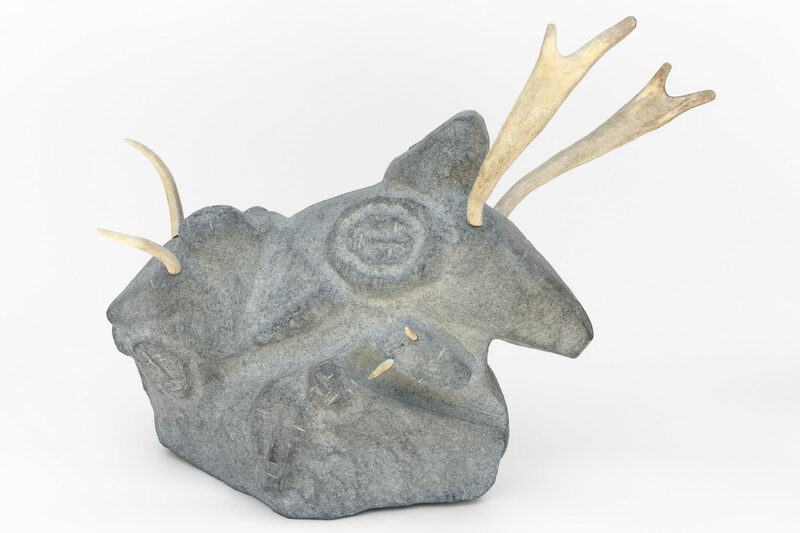 untitled (people of the caribou), 1998, stone, caribou antler, 21.75 x 20.5 x 11.75 in. 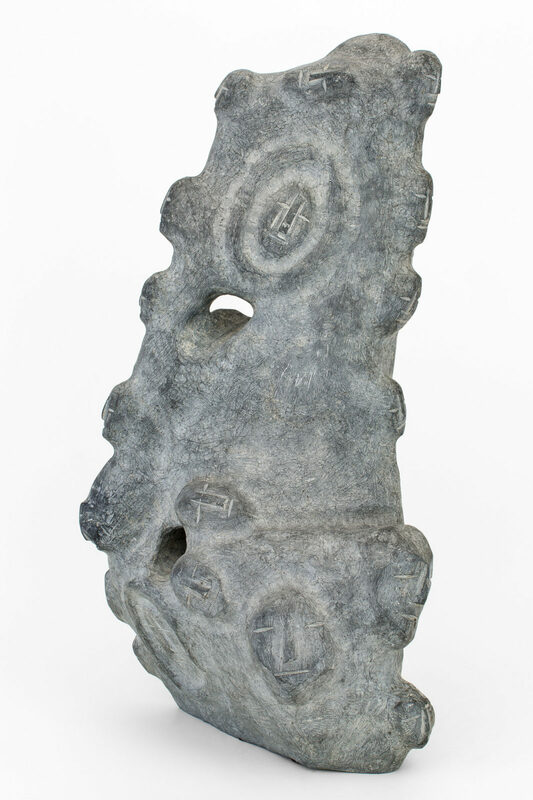 untitled (composition), c. 1987-88, basalt, 24.75 x 13 x 8 in. 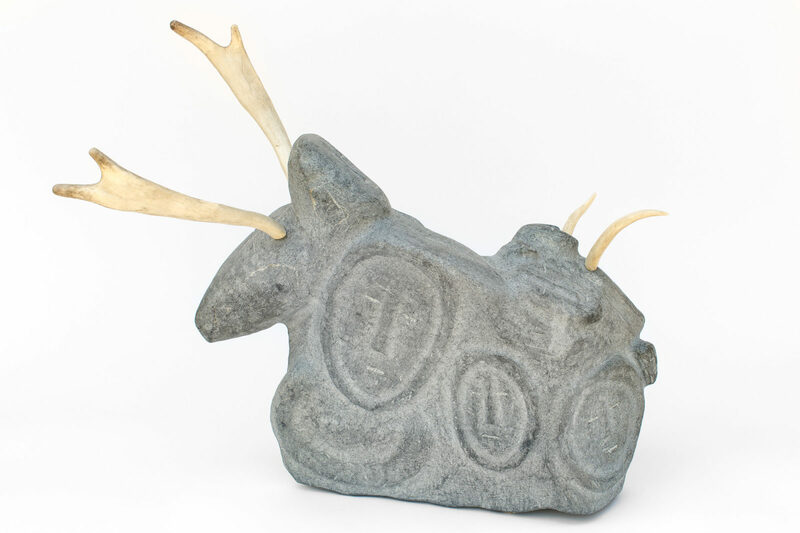 untitled (antler composition), c.1990-95, caribou antler, 19 x 7.25 x 12 in. 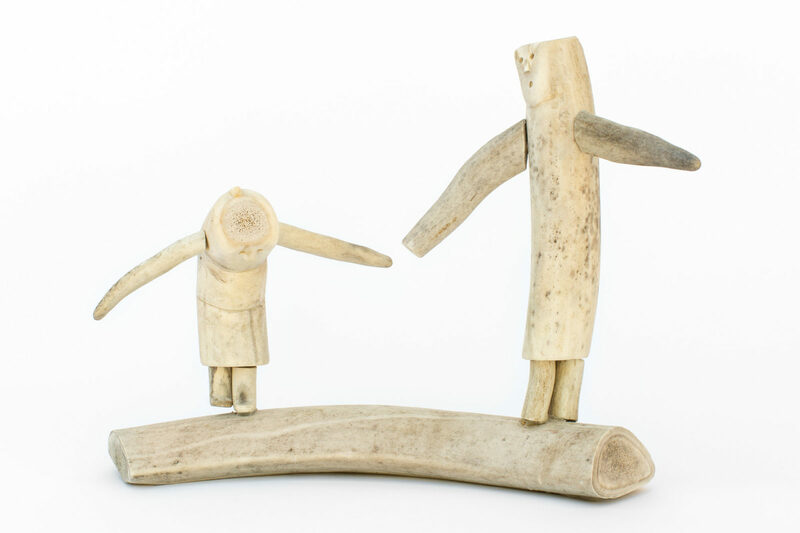 Spirit Drum Dance, 2004, caribou antler, string, 13.25 x 34 x 16.5 in. 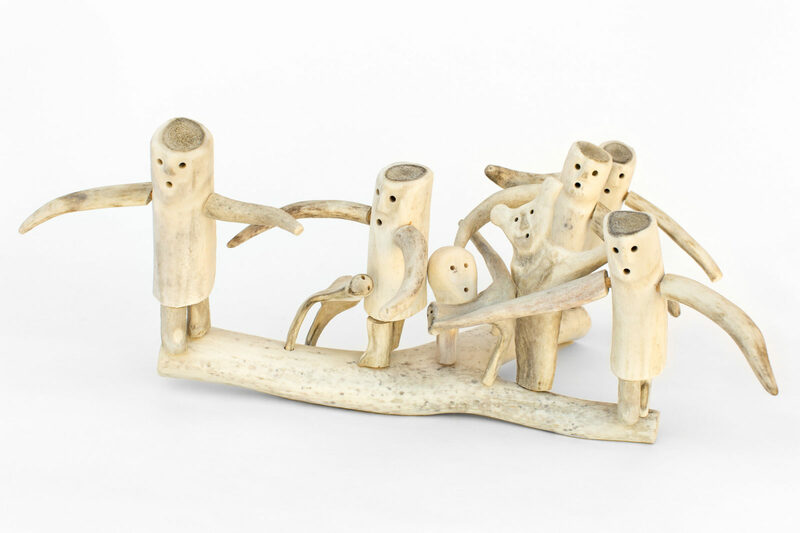 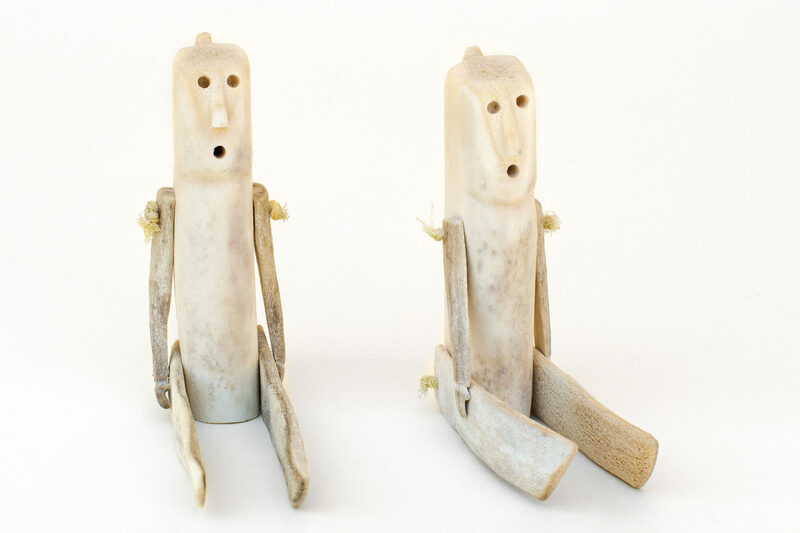 untitled (antler people), c.1980, caribou antler, 9.75 x 27.5 x 16 in. 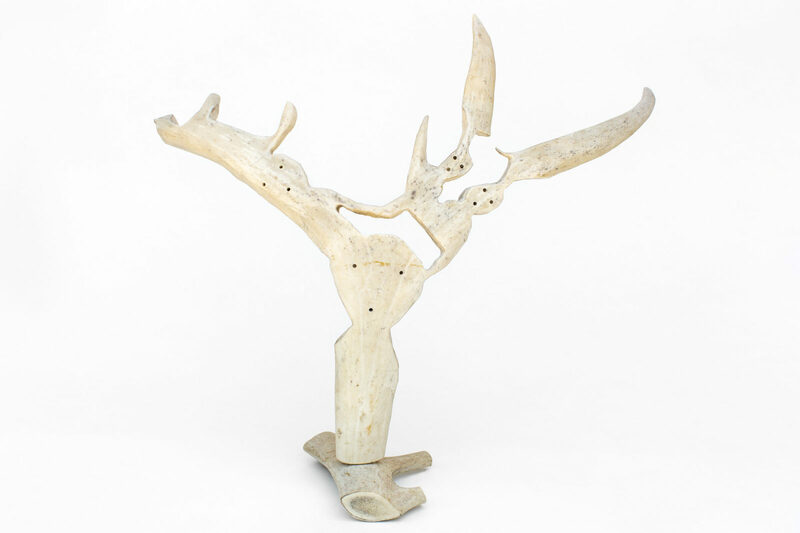 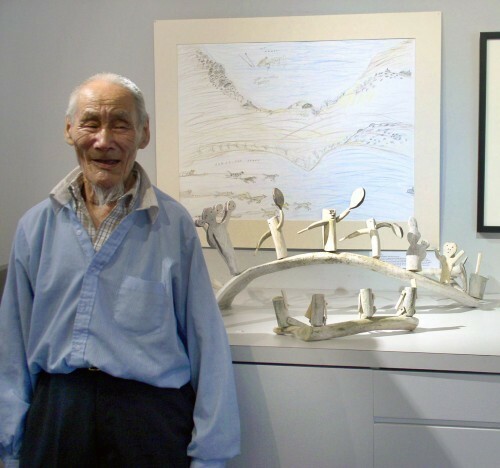 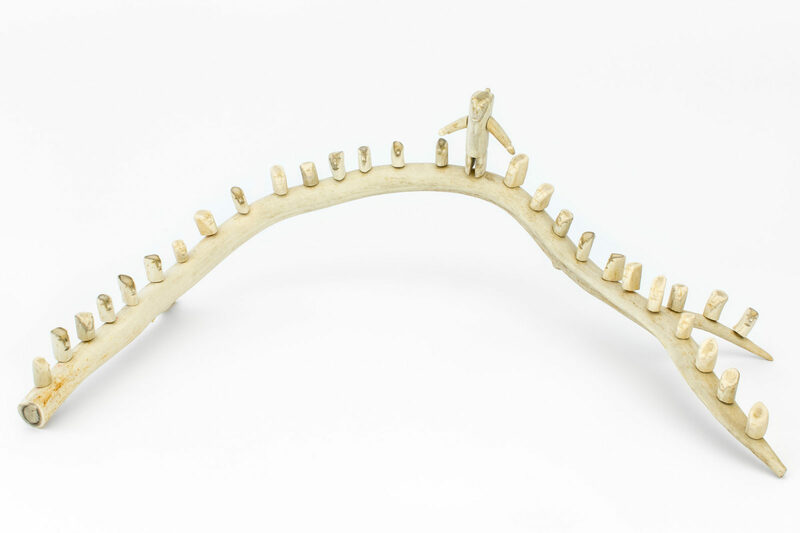 untitled (boneman), 1999, caribou antler, 15.5 x 18 x 6 in. 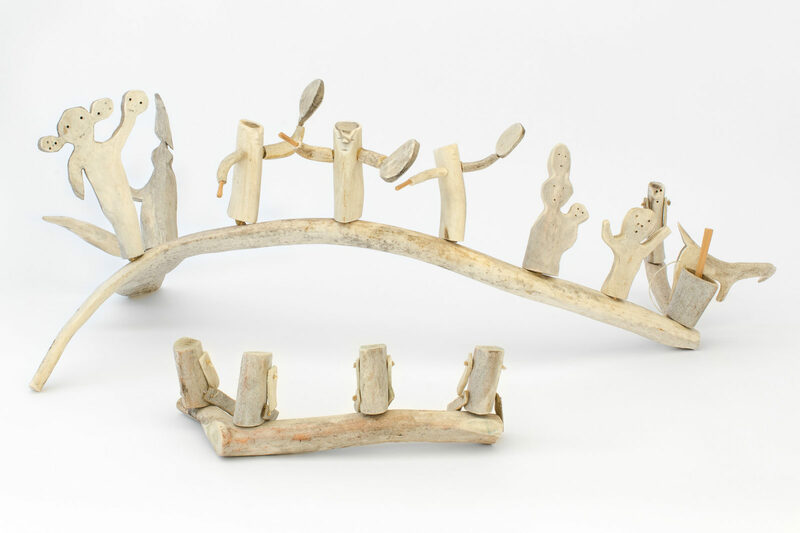 untitled (husband and wife gathering), 1985, caribou antler, 8.5 x 10.5 x 3.5 in. 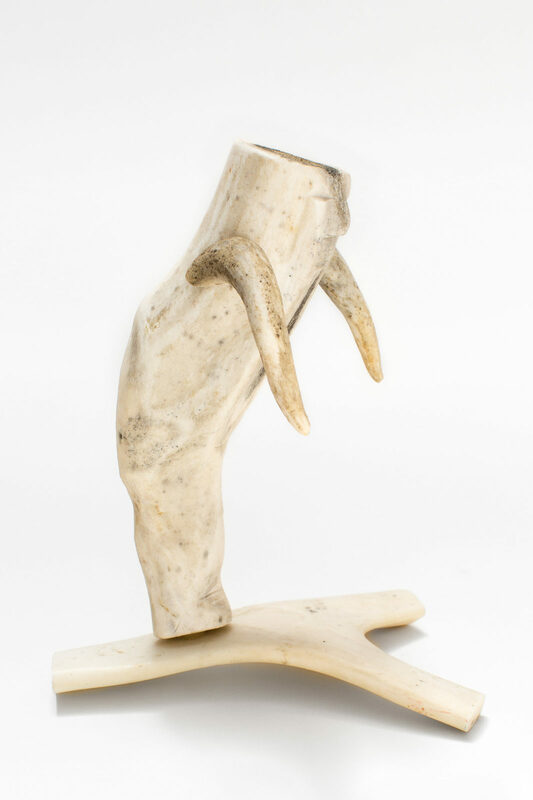 (bending man), c. 2004, caribou antler, 6 x 3.5 x 5 in. 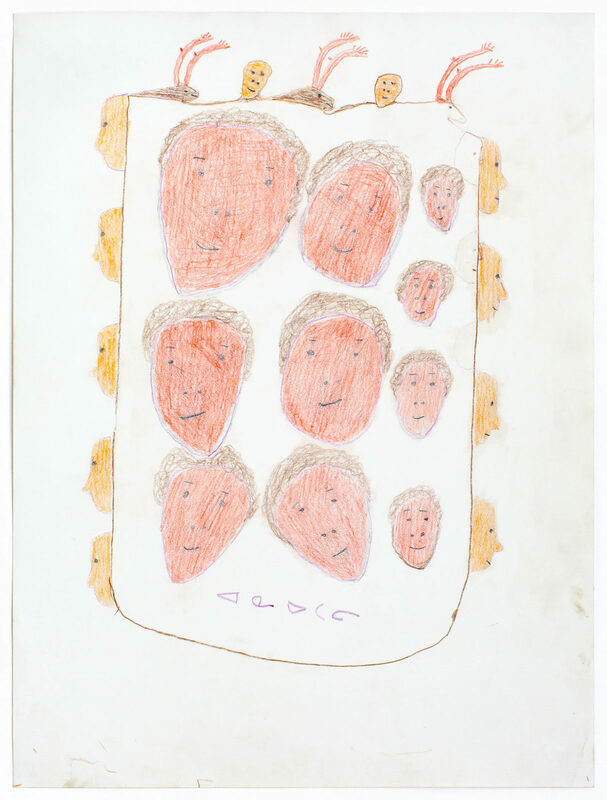 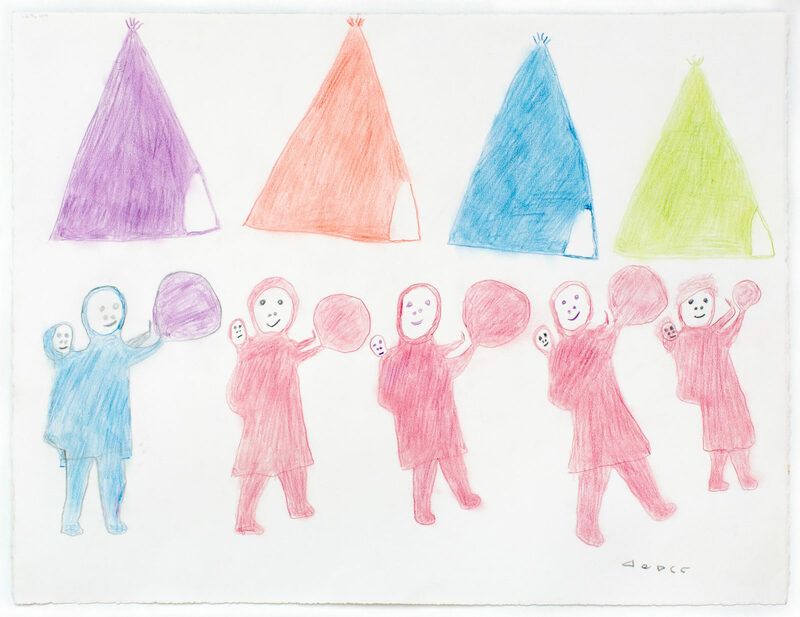 Tents And Drum Dancing Mothers, 2004, color pencil, paper, 19.75 x 25.75 in. 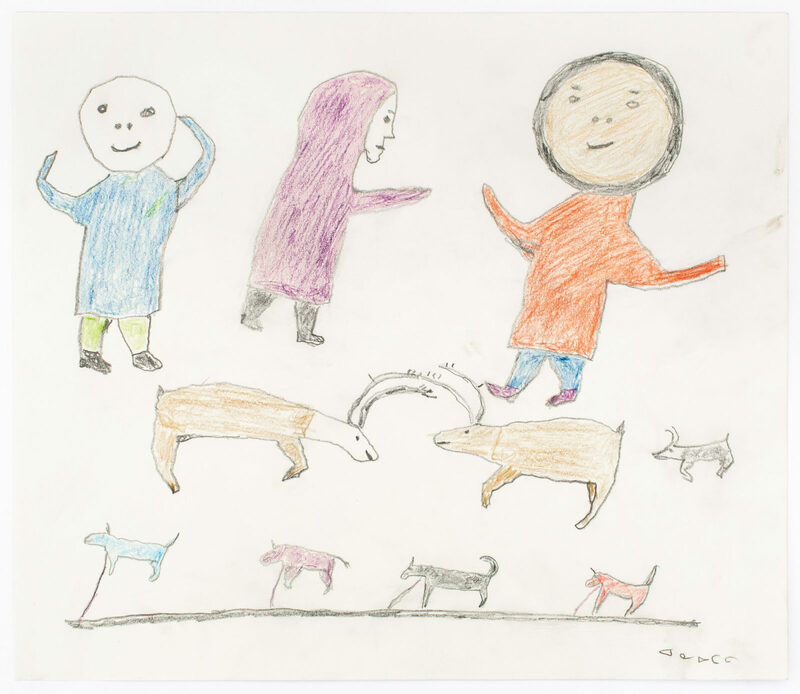 Gathering Of Caribou Hunters, 2005, color pencil, paper, 18 x 24 in. 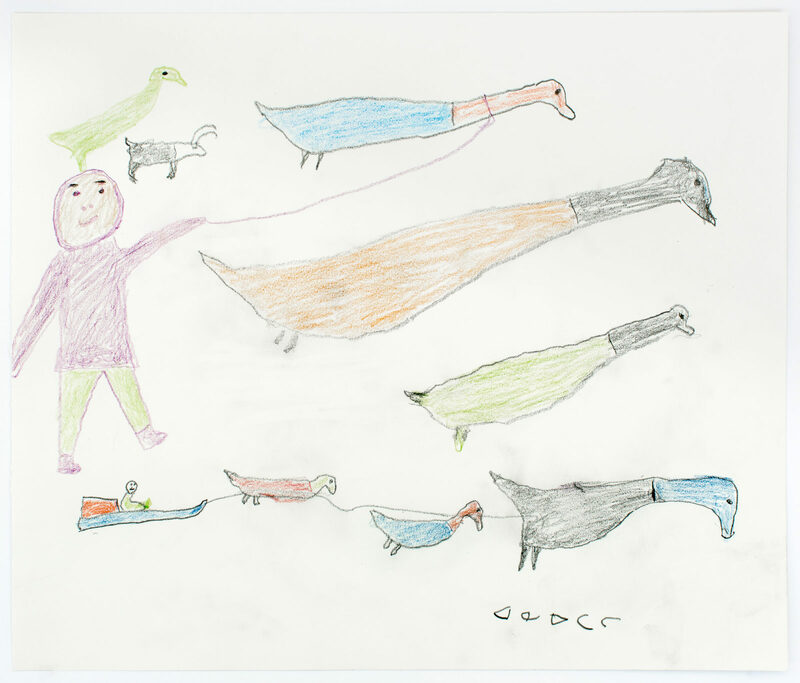 Man With Sled Team, 2004, color pencil, paper, 14 x 16.5 in. 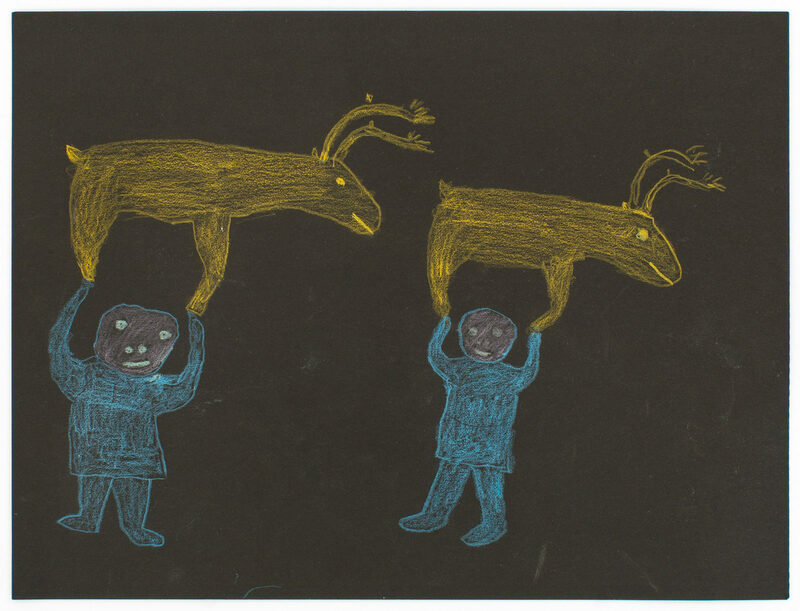 Excited Caribou Hunters, 2004, color pencil, 14 x 16.5 in. 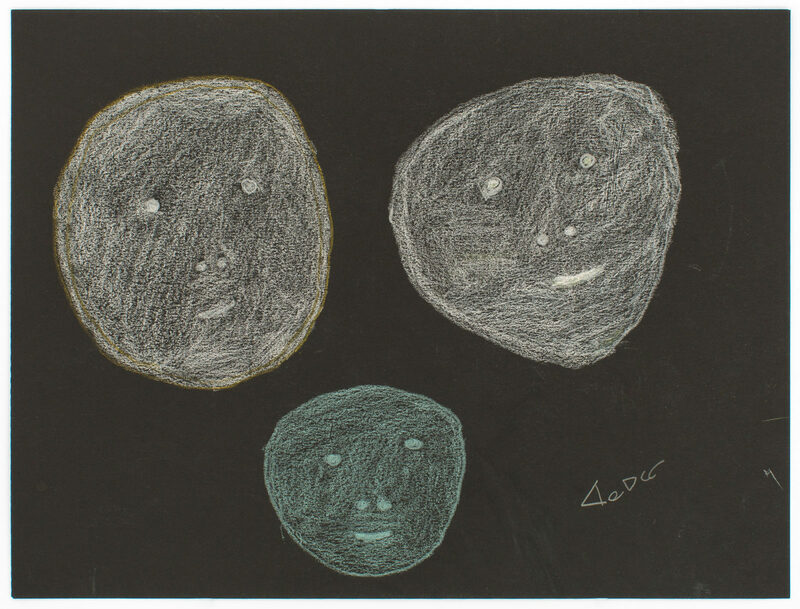 Test of Strength (double sided A), 2004, color pencil, paper (black), 9 x 12 in. 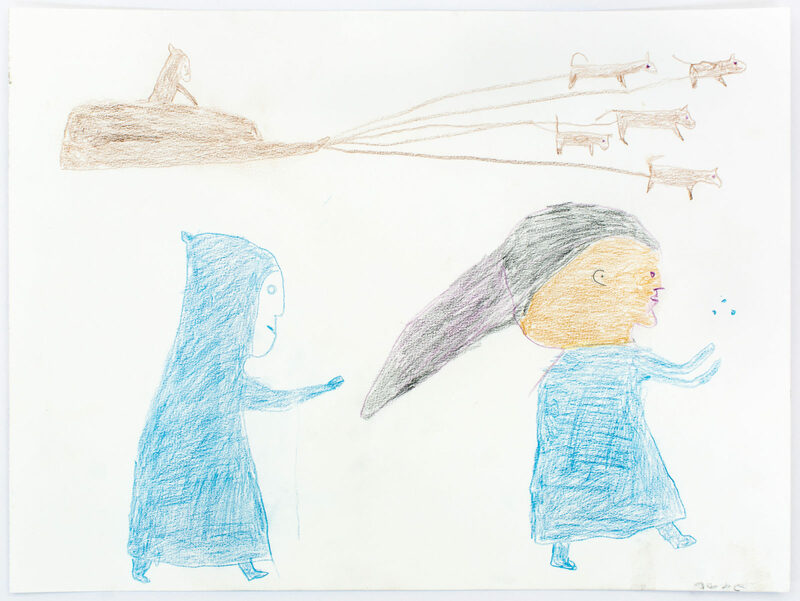 Test of Strength (double sided B), 2004. 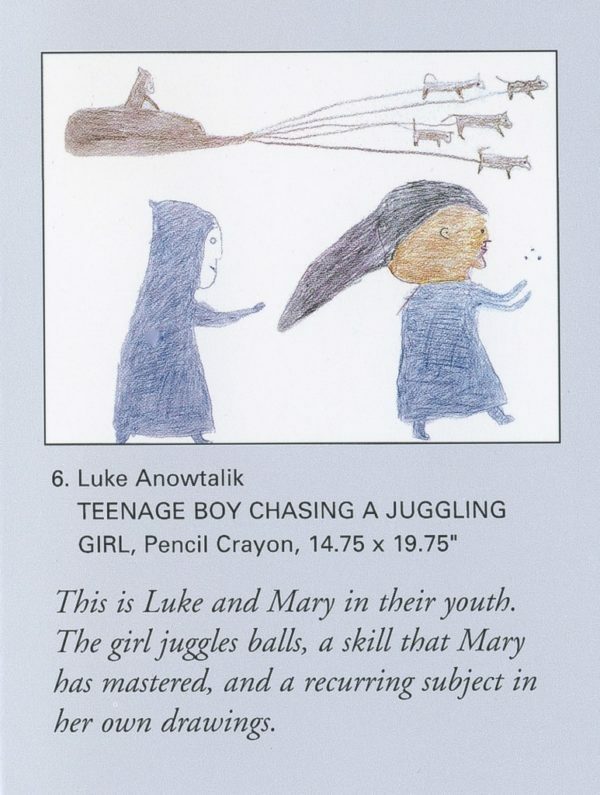 Teenage Boy Chasing A Juggling Girl, 2004, color pencil, paper, 14.75 x 19.75 in.